Connect with a global comMunity made up of your ideal users. With the continued growth of Palo Alto Networks customers, users continue to expand and seek out an online community for collaboration. Partnering with Fuel means determining the content of education, events and discussions influencing the Fuel member community. Through its network of partners, Fuel provides its members with the most up-to-date information on products and services across the security industry. Fuel’s Partnership Program gives partners access to leaders in the network security industry, and provides members access to the most relevant news and product information. Contact the Fuel Partnership Team, 312-321-5190, or download the Partnership Prospectus and Infographic for more information on partnering with Fuel. 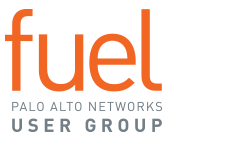 Partner with Fuel to interact with thousands of cybersecurity professionals as they collaborate on key challenges and look for the latest advanced solutions. Event sponsorship offers an exciting way to join Fuel on a journey to unite global users in fun, face-to-face events. Fuel Spark User Summits are one-day events, held in locations around the world, and include educational components as well as social experiences in relaxed settings. Spark User Summits have been previously held in London, Toronto, Amsterdam, Sydney, Boston and Houston. Contact the Fuel Partnership Team, 312-321-5190, for more information on partnering with Fuel.